The King has died childless and the land has had its last days of peace and prosperity. Now the power hungry nobles each see their opportunity to seize the throne and launch a war without mercy to assert their own rights. Only force of arms, and the gold to pay for it, matters. Who shall succeed to grab the throne in the chaos that ensues? 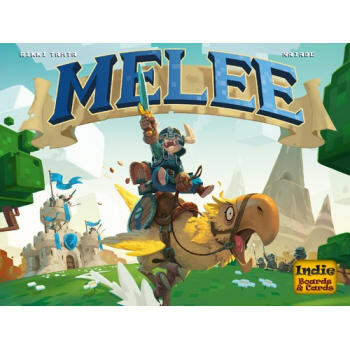 Melee is a 20 minute "war game" for 2-4 players that is nasty, brutish and short! 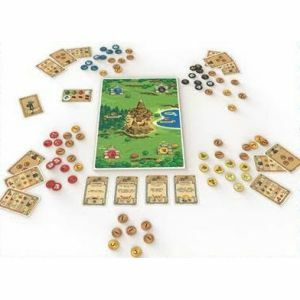 You want to be the first person to capture an opposing castle (at which point the game ends immediately) or to have the most land and gold at the end of the year.